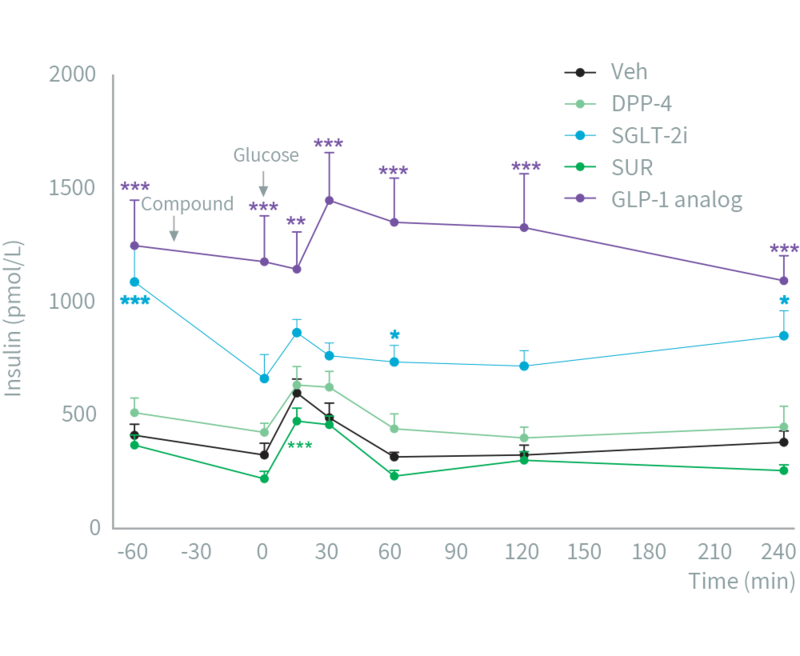 Data demonstrating the efficacy of 8 weeks chronic treatment with the DPP-4i (linagliptin), SGLT-2i (dapagliflozin), GLP-1 (liraglutide) and SUR (glibenclamide) on OGTT insulin and glucose levels in male ZDF rats. Read article: “The sodium glucose cotransporter type 2 inhibitor empagliflozin preserves β-cell mass and restores glucose homeostasis in the male zucker diabetic fatty rat”, Hansen HH et al. 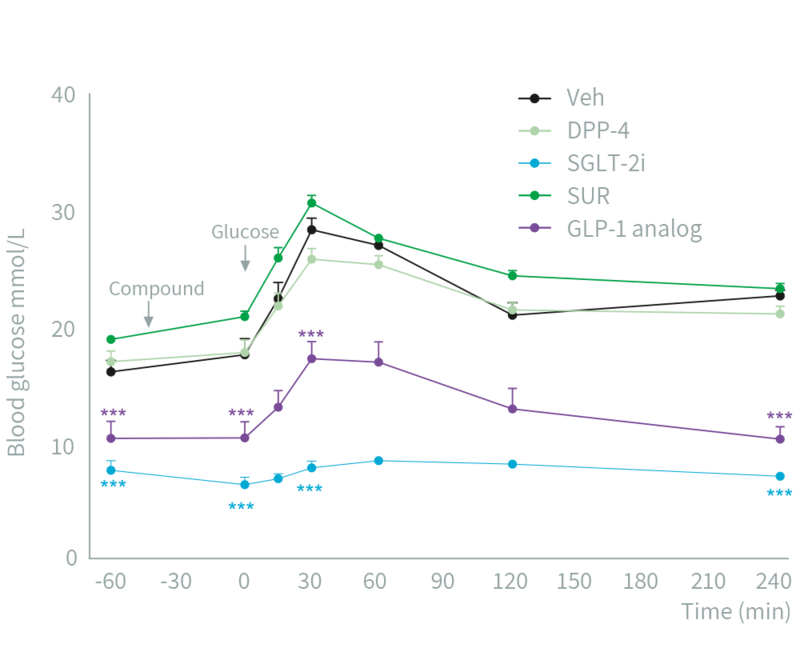 Gubra has characterized the long-term effect of GLP-1 analogs on blood glucose, beta cell mass and signs of pancreatitis. 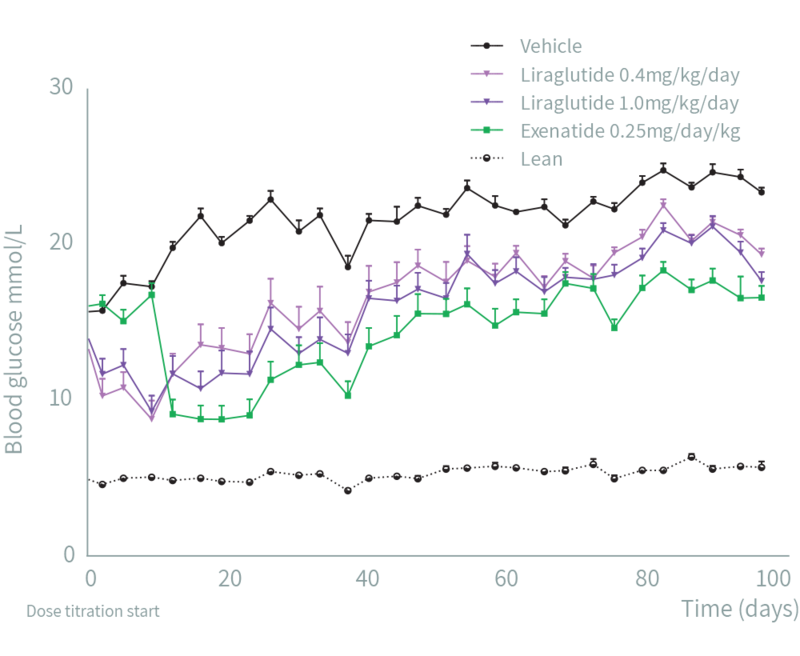 Read paper: “The effects of 13 wk of liraglutide treatment on endocrine and exocrine pancreas in male and female ZDF rats: a quantitative and qualitative analysis revealing no evidence of drug-induced pancreatitis”, Vrang et al. Gubra is highly experienced with the assessments of beta cell dynamics in ZDF rats and db/db mice. These data are pivotal when assessing a direct or indirect effect of a given compound.